Unless otherwise indicated, the content of any tommerrifield.co.uk web page (including the design, text, graphics, any other content and arrangement thereof) is the property of and controlled by The Tom Merrifield. All such content is the copyright material of The Tom Merrifield or our chosen content-provider organisations. All Information displayed as a result of a tommerrifield.co.uk search is extracted from a copyright work/database owned and controlled by The Tom Merrifield. All rights are thereby reserved by The Tom Merrifield. Conditions apply – when you access/use any part of tommerrifield.co.uk you are agreeing to be bound by the following conditions – if you do not wish to be bound by these conditions, you may not and should not access or use this website. The Tom Merrifield may change these conditions at any time without giving any notice to you. If you continue to access and use tommerrifield.co.uk you agree to be bound by the up-to-date version of the conditions of use. Please check these conditions before use. Our Trademarks – The name ‘Tom Merrifield’ and Tom Merrifield logo are service marks of The Tom Merrifield. All other trademarks/logos cited or displayed anywhere on tommerrifield.co.uk or are the property of their respective owners. No materials from tommerrifield.co.uk may be copied, broadcast, downloaded, republished, reproduced, played, broadcast, shown, played in public, uploaded, distributed, posted, stored, adopted, changed or transmitted in any way. However, subject to any applicable licences from third-party content-providers, you may electronically copy and print in hard copy, portions of tommerrifield.co.uk for your personal, non commercial use only. You are not permitted to sell or trade in any of this material. Any other use, modification, distribution or republication without the prior written consent of Tom Merrifield is similarly strictly prohibited. The use of multiple searches to extract Tom Merrifield database details is strictly prohibited. Licence – except as expressly provided, nothing contained in these conditions or anywhere on tommerrifield.co.uk is to be construed as conferring any licence under any of Tom Merrifield’ or any other third party’s intellectual property rights. Using tommerrifield.co.uk at own risk – The Tom Merrifield makes no warranties or guarantees as to the availability, fitness or accuracy of any information shown by tommerrifield.co.uk. 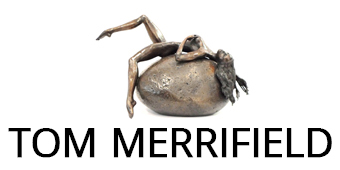 Tom Merrifield makes no representation/warranty/condition, either express or implied, to you – i.e. that tommerrifield.co.uk will be uninterrupted or error-free; that tommerrifield.co.uk or the computer server from which it is made available, are free of any viruses or other harmful components or programs; as to the accuracy, content, timeliness, completeness, legality, reliability, quality or suitability of any information, advice, content, service or search results provided by tommerrifield.co.uk; as to the quality or suitability of any goods or services or information received/advertised through tommerrifield.co.uk or received through links provided from other third parties. Limitation of Liability – under no circumstances will The Tom Merrifield or any other party involved in the creation, production, maintenance or distribution of tommerrifield.co.uk be liable for any damages either direct, indirect, incidental, special or consequential (including but not limited to loss of profits, business, anticipated savings, goodwill, loss of opportunity, use of data or other intangible losses) that result from any of the following – the use of and reliance upon tommerrifield.co.uk; any errors, omissions, interruptions, suspension, termination, deletion of files or email, mistakes, defects, viruses and other harmful creation, delays in operation, transmission or service response time, or any failure of performance by tommerrifield.co.uk including without limitation those arising from acts of God, communications failure, theft, destruction or any unauthorised access to Tom Merrifield data, records, programs or services; any services or products, information or advice received through or advertised on tommerrifield.co.uk. Tom Merrifield is unable to ensure or guarantee the security of any information transmitted over the Internet. Any information or data which you transmit to or by using tommerrifield.co.uk is done at your own risk and The Tom Merrifield will not be responsible or liable for any damage that may result from transmitting such information. If any jurisdiction does not allow the exclusion or limitation of liability for consequential or incidental damages, liability is limited to the fullest extent permitted by law. Jurisdiction and Governing Law – these conditions shall be governed by and construed in accordance with the laws of England and Wales. As tommerrifield.co.uk can be accessed from other places around the world with different laws from those of England, when you access tommerrifield.co.uk you agree that the laws of England will apply to all matters relating to your use of tommerrifield.co.uk. By accessing/using/benefiting from tommerrifield.co.uk you also agree to submit to the non-exclusive jurisdiction of the English courts, with respect to such matters. Miscellaneous – these conditions and any and all documents referred to herein form the entire agreement between you and The Tom Merrifield with respect to the use of tommerrifield.co.uk. If any term in these conditions is determined by a court to be illegal, invalid or in any way unenforceable, that provision shall be severed from these conditions and the remaining provisions shall continue in full force and effect.